Finally, secrets are revealed !! 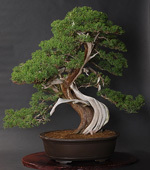 Japanese black pine grafting by Seiji Shiba. This technique is essential to start your Japanese pine bonsai properly. This provide the lower branches needed to simulate the naturally grown full size pine tree.